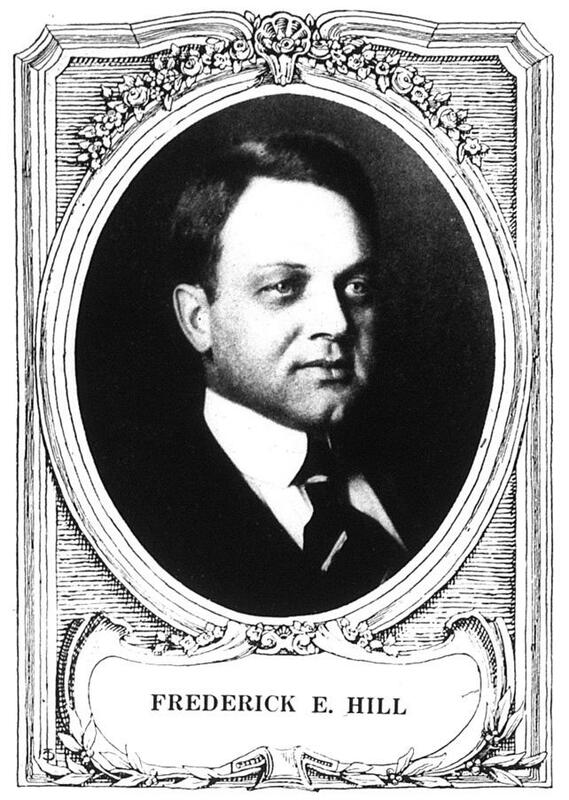 Before he became an active designer, Frederick Hill prepared himself for the field at Boston Technology, Lowell School of Design in Boston, Cowles Art School, Boston Art Institute (full course), Chicago Art Institute (full course), receiving honorable mention in all branches in the last named school for two years. He probably had more preliminary training before entering active work than any other designer in Grand Rapids. His first business connection was as chief designer with the Healy-Millet Co., Chicago, and next with W. K. Cowan & Co. of the same city. When Stuart Foote started the Imperial Company in 1903, Mr. Hill was invited to take the post of designer and he accepted. From the start his work was effective and he became one of the strong men in the organization. In his work in Grand Rapids, Mr. Hill familiarized himself intimately with the productive end of the business and as a result had admirably prepared himself for the responsibilities of his next position, which he assumed in January 1917, as vice president, general manager, and sometime designer of the Hastings Table Co. of Hastings, Michigan. Mr. Hill said that his experience gained in the Imperial plant, which he insisted was the best possible school, prepared him well for his new work at the Hastings’ plant. But, “Leaving the Imperial seems like breaking home ties,” he said. Excerpted from Furniture Manufacturer & Artisan, December 1916, page 251.